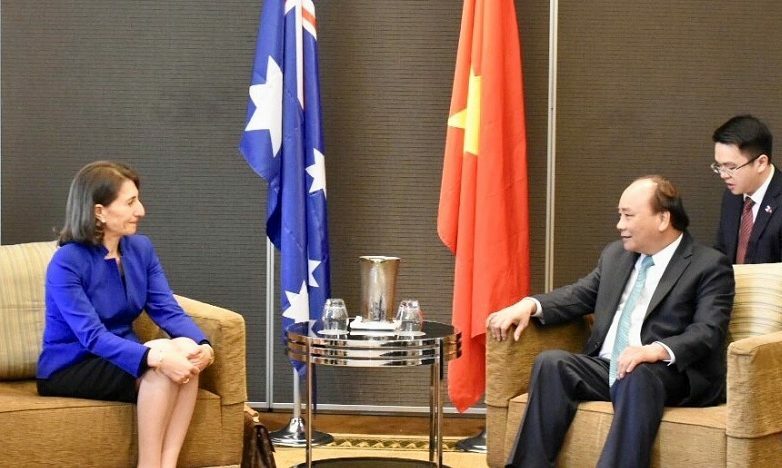 Premier Gladys Berejiklian met with the Prime Minister of Vietnam Mr Nguyễn Xuân Phúc on Friday morning, ahead of this weekend’s ASEAN-Australia Special Summit. Ms Berejiklian and Mr Phúc discussed the close relationship between NSW and Vietnam, and expressed a strong desire to forge even deeper friendships in the future. The Premier paid tribute to the strong contribution that Vietnamese migrants and their families have made to the social, cultural and economic fabric of NSW. “I was very proud to welcome Prime Minister Nguyễn Xuân Phúc to Sydney. The NSW Government values its strong relationship with Vietnam very highly,” Ms Berejiklian said. Ms Berejiklian described her talks with Mr Phúc as very constructive and said there are opportunities for greater collaboration between Vietnam and NSW. Ms Berejiklian is due to deliver the keynote speech at the official ASEAN-Australia Special Summit welcome reception on Friday night, attended by political and business delegates from across South East Asia.